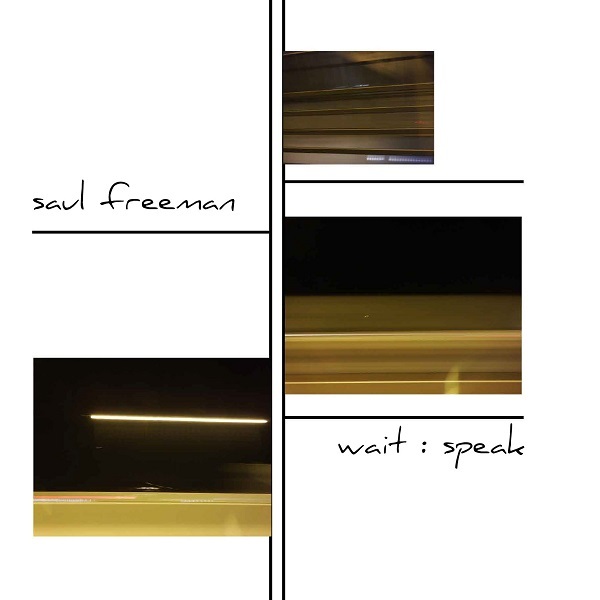 With Wait : Speak, Saul Freeman has moved well outside the popular song forms of his previous group projects Mandalay and Thieves. He's also worked with Steve Jansen and Jon Hassell, so gentle atmospheres are not completely foreign to him. This is a lovely set of atmospheric pieces, not unlike Cluster or various post-Japan projects from the Jansen-Barbieri-Karn-Sylvian axis, with subtle guitar and keyboard sounds creating a foggy-Sunday-morning soundtrack for meditative moods. The one vocal track in the collection with lyrics, "Instructions for Burning a Body," strikes the same type of mood as records by David Sylvian or Tim Bowness. (Wordless vocals appear elsewhere.) Not truly ambient, but never energetic, an air of peace and calm surrounds the music. And harkening back to his work with Jon Hassell, a trumpet (played by Frank Wilke) appears on "Curbar Redux," providing a jazzy filligree over serene piano chords. Wait : Speak functions admirably as a chill-out record, and provides welcome interest at more-than-ambient activity levels.